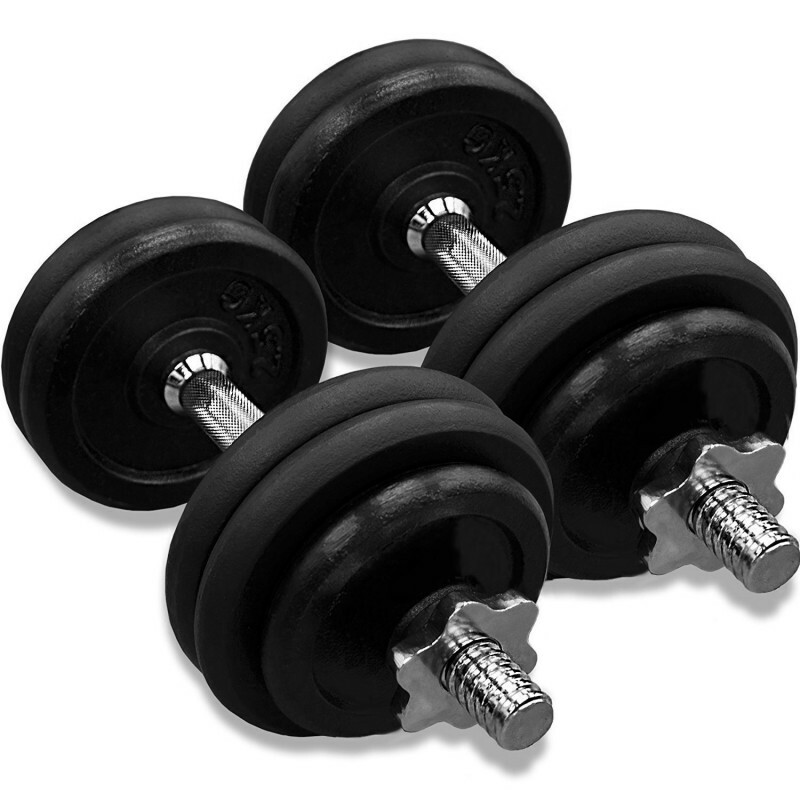 The 30kg Cast Iron Dumbbell Set is a great piece of home fitness equipment. It is fully adjustable so you can select the weights you desire to lift. It is quick and easy to adjust the weights as they can be slid on to the bar and secured into place by the spin lock collars. 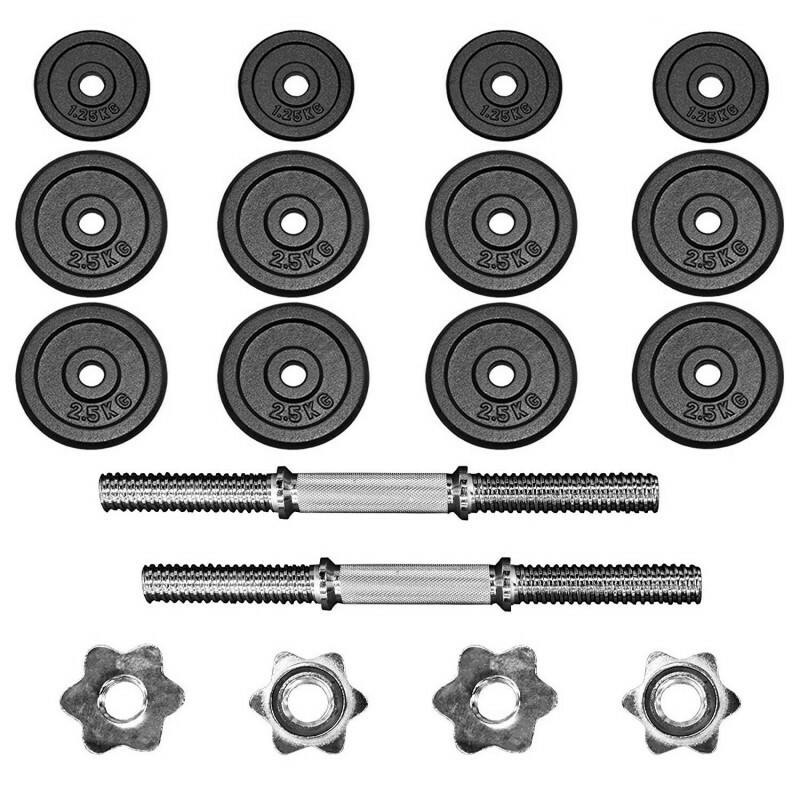 Each spin lock collar contains a rubber grommet which further enhances the security of the weight plate on the bar decreasing its chance of unnecessary movement. 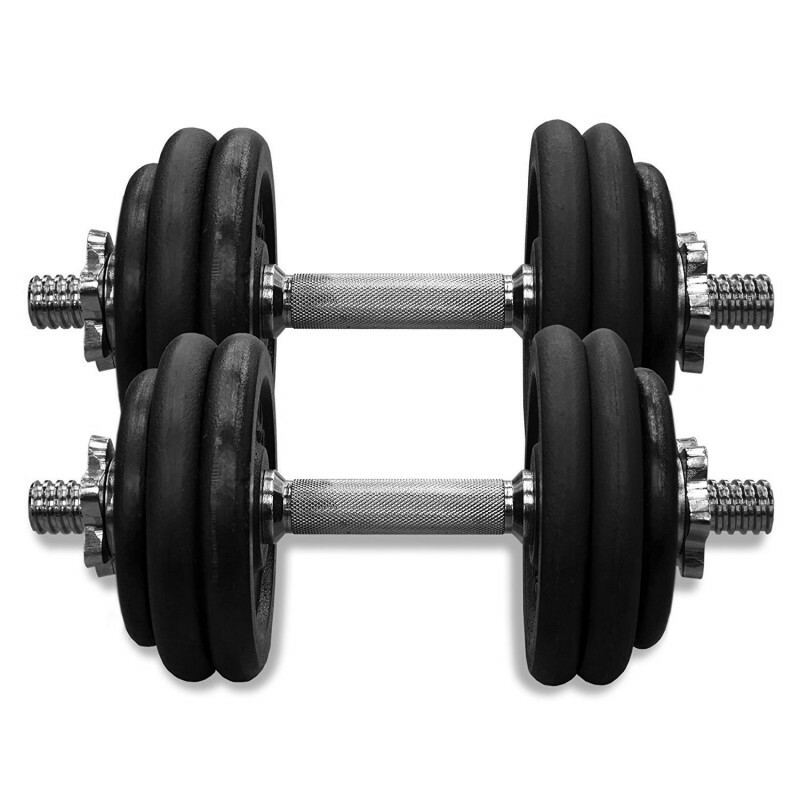 The JLL Dumbbell Set boasts the classic ‘Hammertone’ look. Each weight plate is clearly identified by a raised number that will not wear down over time. Dumbbells are great tools for strengthening and toning a wide variety of muscles including the biceps, triceps, deltoids, latissimus dorsi, quads, glutes, hamstrings, calves and core abdominals. At JLL we take every effort to supply each and every customer with a prompt and efficient delivery service. Over the years our systems have evolved in line with our company's growth to ensure that this happens. Small items are delivered by Royal Mail who have earned their name for their consistency and high delivery success rate. Our larger items are delivered by UK Mail, XDP, Arrow XL or Pallex Solitaire depending upon the weight of your order. We have a great deal of faith in our courier’s ability to ensure that our customer’s orders arrive on time and in excellent condition. We monitor the performance of our couriers very closely so rest assured that we only strive to partner with the best in the industry at the time. We ship within most of the UK Mainland. Customers from certain postal codes in Scottish Isles, Isles off the Coast and Northern Ireland will incur an additional charge. Please ring 0800 6123 988 or 0121 328 7507 to ask for more information about delivery. PLEASE NOTE: If you are not available for the delivery on the date specified by the third-party courier then please let us know as soon as possible so that we can reschedule that for you. If the courier attempts the delivery and no one is home it may result in an additional redelivery charge. Order is made and cleared before 10:00 a.m.
Order is made during working days (Bank Holidays do not count as working days). Delivery address is within and eligible UK Mainland area. Please note that the estimated delivery is a guideline and should not be treated as a guaranteed service. As with every third-party service, the order is out of our hands once it has been dispatched. Therefore, we do not make guarantees for anything that is out of our control. Although delays in delivery can happen, they are very rare. If you have not received your order on your estimated delivery date, please call us on 0800 6123 988 or the courier. When your order is delivered, you must count the items and check for any damage to the packaging. Sign and print your name to confirm you have received the entire order in good condition. It will state on your delivery note how many boxes you should receive. If the boxes you receive don't match the delivery note you must write down the number of boxes received on the delivery note next to your signature. Any damage to the equipment or packaging must be noted on the delivery note next to your signature. Any shortages or damages must be reported to JLL Fitness Ltd within an acceptable time frame of delivery. JLL Fitness Ltd cannot be held responsible for shortages or damages if not stated on delivery note. This does not affect your statutory rights in the event of the goods being faulty. Please ring JLL Fitness if you receive your item in a damaged condition so they we can arrange for replacement parts or equipment to be sent to you. If you refuse the delivery for any other reason than the goods being damaged in transit, you are liable for all outbound and return freight charges. If any of the larger products will not fit through doors or stairwells, and delivery is refused or returned, you will be responsible for all outbound and return freight costs. For more information about our delivery please ring Free on 0800 6123 988 or 0121 328 7507 and our team will be very happy to discuss your delivery arrangements further. At JLL we care about our customers and we offer a minimum of 12 months warranty. That's for all of our items in our fitness equipment range. 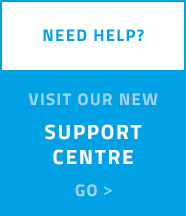 In the event that any issues arise, please contact us on 0800 6123 988 and we will provide you with all of the support that you need. At JLL we are proud to offer a 30 day money back guarantee on all of our products. It's simple all you have do is contact us. Use your order number as proof of purchase and arrange the return of your product. The warranty excludes normal wear and tear on parts. You should keep your sales receipt where it shows the date of purchase of the product. This warranty becomes VALID ONLY if the treadmill is assembled/installed according to the instructions/directions included with the treadmill or provided by JLL Fitness Ltd. This warranty does not extend to any treadmill that has been damaged or rendered defective: (a) as a result of accident, misuse, abuse or lack of reasonable care; (b) by the use of parts not manufactured by JLL Fitness or sold by JLL Fitness ; (c) by modification of the treadmill; (d) as a result of service by anyone else other than JLL Fitness or an authorized JLL Fitness warranty service provider. During the warranty period JLL Fitness Ltd. will at no additional charge replace part(s) or repair the treadmill (at JLL Fitness option) if it becomes defective, malfunctions or otherwise fails to conform with this warranty under normal, non-commercial, personal, family or household use. In repairing the treadmill, JLL Fitness may replace defective parts or at the option of JLL Fitness ,use serviceable used parts that are equivalent to new parts in performance. All exchanged parts and products replaced under this warranty will become the property of JLL Fitness Ltd. If you are using a home treadmill in an environment other than in a residential house, you must check to see if the product you are purchasing has a warranty for the environment you are going to use it in. For example a treadmill with a "Domestic use" warranty will have no warranty if used in a Full or Light Commercial environment. If you are unsure as to which classification of usage you require please ask and we will be happy to check if the treadmill is suitable. No manufacturer’s warranty covers failure of a treadmill if caused by unreasonable or abusive use or if the customer alters the treadmill in any way or if the customer fails to provide reasonable and necessary care/maintenance. All Commercial Treadmills come with a minimum of 24 months parts and labour warranty. Commercial treadmills purchased for certain Scottish postcodes, Northern Ireland and Isles off the Coast will have an amended warranty as we would not be able to provide the labour should a manufacturing fault occur. You should keep your sales receipt where it shows the date of purchase of the product. This warranty becomes VALID ONLY if the treadmill is assembled/installed according to the instructions/directions included with the product or provided by JLL Fitness Ltd. This warranty does not extend to any treadmill that has been damaged or rendered defective: (a) as a result of accident, misuse, or abuse or lack of reasonable care; (b) by the use of parts not manufactured by JLL Fitness or sold by JLL Fitness; (c) by modification of the treadmill; (d) as a result of service by anyone else other than JLL Fitness or an authorized JLL Fitness warranty service provider. During the warranty period JLL Fitness Ltd. will at no additional charge replace part(s) or repair the treadmill (at JLL Fitness' option) if it becomes defective, malfunctions or otherwise fails to conform with this warranty under normal, non-commercial, personal, family or household use. In repairing the product, JLL Fitness Ltd. may replace defective parts or at the option of JLL Fitness, use serviceable used parts that are equivalent to new parts in performance. All exchanged parts and treadmill replaced under this warranty will become the property of JLL Fitness Ltd.
No manufactuer's warranty covers failure of a treadmill if caused by unreasonable or abusive use or if the customer alters the treadmill in any way or if the customer fails to provide reasonable & necessary care/maintenance. All Exercise Bikes and Cross Trainers come with a minimum of 12 months parts warranty. If a part is required depending on the courier we use there may be a shipping charge if you live in either Guernsey or Jersey. You should keep your sales receipt where it shows the date of purchase of the product. This warranty becomes VALID ONLY if the exercise bike is assembled/installed according to the instructions/directions included with the exercise bike or provided by JLL Fitness Ltd. This warranty does not extend to any bike that has been damaged or rendered defective: (a) as a result of accident, misuse, abuse or lack of reasonable care; (b) by the use of parts not manufactured by JLL Fitness or sold by JLL Fitness ; (c) by modification of the exercise bike; (d) as a result of service by anyone else other than JLL Fitness or an authorized JLL Fitness warranty service provider. A home use item is not designed to be used in a commercial environment. If the item has not had regluarly maintenance and as a result the item has become damaged or rusty. If the item is shipped outside of the United Kingdom. If an item is sold on the remaining warranty is non-transferable.